It's really not a bad problem to have. According to InsideEVs, demand for the new Hyundai Kona EV is better than expected. Is that good? Yes, but that also means hopeful buyers are not happy. With its impressive 258-mile range, affordable $37,495 base price, and fun to drive nature, the Kona EV is turning out to be the popular electric vehicle the Chevrolet Bolt has yet to fully become. 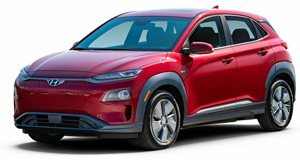 The original plan for the Korean-built Kona EV was to begin sales in California only and then expand to other "ZEV-focused states in the western and northeastern regions of the US market.” However, high demand in California in ZEV states is altering Hyundai’s plan for a larger rollout. Some InsideEVs forum members told the publication they were having difficulties securing a vehicle through their local dealers and this situation won’t change for the time being. It’s a classic case of demand crushing supply. Like we said, it’s both a good and bad problem to have. To help remedy the situation, Hyundai is reportedly doing all it can to build more units but it’s not that simple. Supply chains can’t be increased overnight, for example. Additional shipping to high-demand markets, specifically the US, needs to be arranged. Hyundai is fully aware of what it needs to happen but it’ll require more time. Unfortunately for the automaker, however, too much time may not be on its side. Fresh competition is coming soon from the likes of GM, Ford, and even Tesla with its Model Y. If Hyundai can’t boost Kona EV production to the required levels, then some customers may wind up shopping elsewhere.